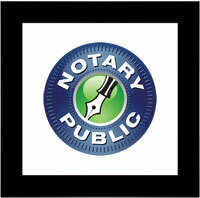 Notary Public Services now available!!! We are excited to announce we now have a Notary Public on staff! Director, Tami LaRock, will provide Notary Services weekdays, on a walk in basis, as she is available, up to a half hour before closing time. You may make an appointment ahead of time to insure prompt service. Call us at 755-2944, option 2 and ask to speak to Tami for Notary Services. We do not charge for this service – but you may make a willful donation to the Friends of the Goodwin Library. You do not have to be a patron of the Goodwin Library (although we would love to have you join us)!